Alice Notley, the author of more than thirty-five poetry collections, has been on both sides of the lit-mag fence. As a writer, she says, “I use journals to maintain my presence in the conversation, but also to see what my poems are like: how they hold up away from me, whether something in progress requires changes.” And as a founding editor of the now-defunct journals CHICAGO, SCARLET, and Gare du Nord, Notley views editorial choices as aesthetic statements and a “much more effective and elegant way of taking issue than yelling at each other on websites.” Below are a few journals that published poems from Notley’s most recent collection, Certain Magical Acts, published in June by Penguin—journals that share many of the hallmarks of Notley’s work: feminist, transcontinental, formally restless, and beautifully made. After receiving a solicitation letter from editor William Waltz, Notley—who never submits to journals (“I wait to be asked, then I generally say yes”)—sent her poem “I Think Fiercely” to the biannual print journal Conduit (conduit.org ), despite never having seen an issue. “It turned out to be tall and narrow with an individual artistic ambience,” says Notley. “The company in the issue was quite good.” Based in Saint Paul, Minnesota, Conduit publishes poetry and prose that Waltz describes as “somehow direct, playful, inventive, irreverent, or darkly beautiful,” and works to change a reader’s perspective. Of “I Think Fiercely,” Waltz says, “It rearranges our molecules every time we read it.” While the journal is focused mostly on poetry, Waltz says the editors would like to see more language-driven stories. Conduit accepts submissions via postal mail year-round. Notley chose to publish her poem “Blinding the White Horse in Front of Me” in the journal Interim (interim.squarespace.com ), not only because she “trusted it with something important,” but also because of her strong geographic attraction to the journal—Interim is housed at the University of Nevada in Las Vegas, near Notley’s hometown of Needles, California. The journal, which appears quarterly online with one print annual, has published Notley’s poems several times, including in the best-selling 2005 issue devoted to her work. Editor Claudia Keelan says Notley’s poetry exemplifies the journal’s aesthetic, which is “writing that is aware of itself as writing, and writing in pursuit of Being, capital B intended.” Submissions in poetry, translation, criticism, and mixed-genre are open via Submittable through September 1. 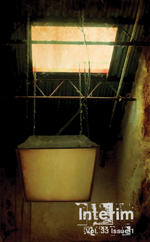 “The [solicitation] letter said it was feminist,” says Notley of the Fairfax, Virginia–based So to Speak, “so of course I sent work.” Established in 1993 by a collective of women in George Mason University’s MFA program, the journal (sotospeakjournal.org ) is published biannually online and puts out one annual “print object”—this year it was a partially handmade anthology of the journal’s contest winners. Editor Douglas Luman says his staff is particularly interested in reading reviews and critical essays on culture for its blog. Submissions in poetry, prose, and art for the spring issue will open August 20 via Submittable. 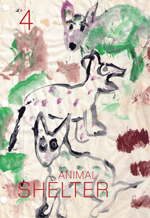 Published by fiction and philosophy press Semiotext(e), the Los Angeles–based Animal Shelter (semiotexte.com ) takes its cues, says poetry editor Robert Dewhurst and editor Hedi El Kholti, from the poetry journals of the 1960s and 1970s, including Notley’s own CHICAGO. “In an interview a few years ago, Notley beautifully disavowed the now-trendy term curate, insisting that she had simply, unglamorously ‘edited’ CHICAGO. We like to think of our efforts in the same way.” Animal Shelter, which Notley describes as a “remarkably beautiful object with a good layout,” is an occasionally published (the editors aim for once a year) print journal. Issue Five is already in the works; the editors say that about a third of the work in each issue comes from unsolicited submissions (open year-round via e-mail in all genres). Notley, who lives in Paris, has also published work in several journals outside the United States, including the Amsterdam-based Versal (versaljournal.org ). While Versal went on hiatus since publishing an excerpt of Notley’s poem “Voices” in 2011, it is scheduled to return in 2017, offering both a print annual and one chapbook each fall. Editor Megan M. Garr hopes to resume publication with an emphasis on building relationships with writers. “You’re not building community when your relationship with your writers and artists comes down to rejection and acceptance letters, and a few e-mails in between,” she says. 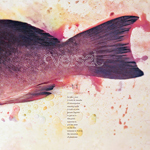 “We’re going to see how genuine of a community can be built across geographies and distances in the pages we make.” Versal will be open to submissions in all genres in the fall.